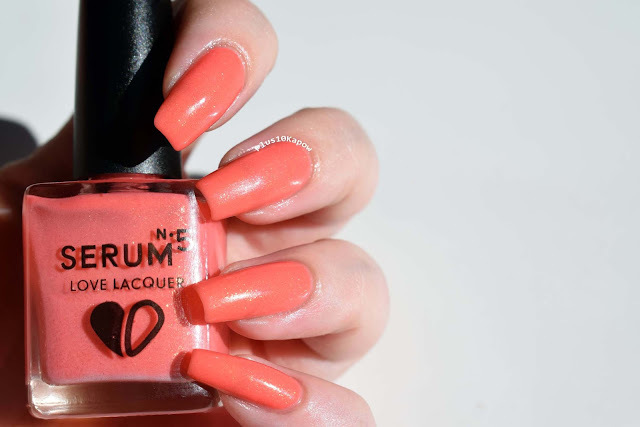 So after falling head over heels in love with Serum No 5 Indi-Glo, I went on and bought some more Serum No 5 polishes because I NEED MOAR! Yes, I do love the strange and unusual, or at least unique polishes and the fact that the glow in these polishes is so immense and last for days, well, it gives me fuzzies and I like to have my fuzzies last for days too. I bought 2 more from Rainbow Connection (this is the first) and then I managed to grab some in a destash and you'll see all of them over the next week. 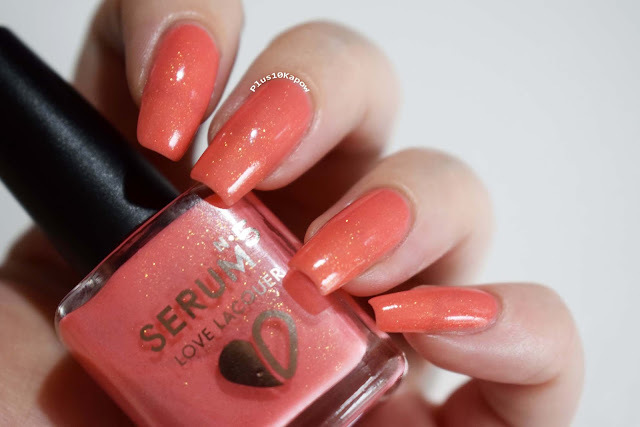 This beauty is Coral-ectric, a coral polish with a golden shimmer. It applied beautifully, dried quickly and to a gritty finish. I applied two coats and one coat of Seche Vite, but you can still see my nail line and so I would recommend 3 coats for full coverage. The golden shimmer comes out in most lights and was just visible in shaded areas. You ready for the glow? Here is my best glow photo. Hey, I'm still getting used to it but I think this is a pretty good photo. It actually glows more yellow than shows in this photo and just like Indi-Glo, it did last for days and is pretty bright. I rubbed my eye in the middle of the night and stupidly opened my eye before I had moved my hand away and I swear I was blind for about a minute. So this one didn't actually take the throne from Indi-Glo but I'm glad to have it in my collection because I would love a huge load of them. 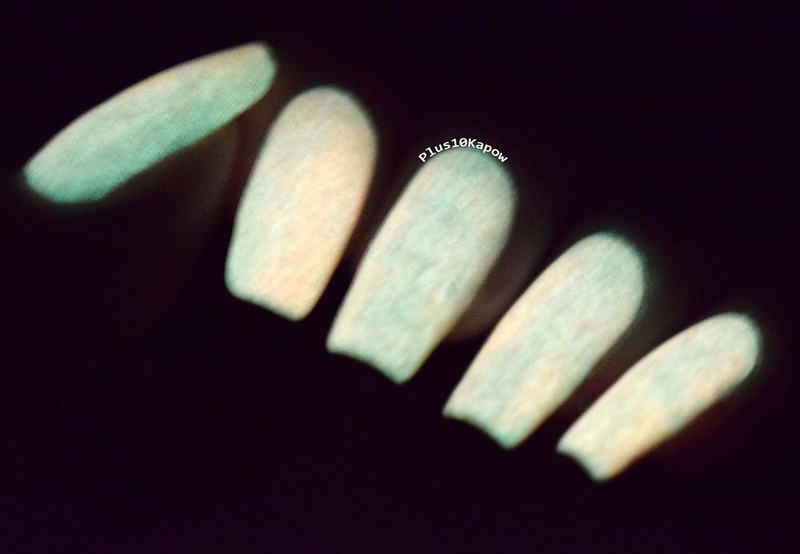 What do you think of glow in the dark polishes?